My newest design! 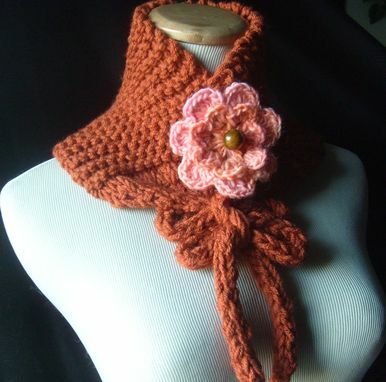 Hand knit with lots of love and with your comfort in mind, this neckwarmer can be worn with the collar facing up or rolled down as shown in the pictures. The super soft acrylic yarn has been doubled to provide you with extra warmth and comfort and the 18 inch long knit ties makes this completely adjustable. 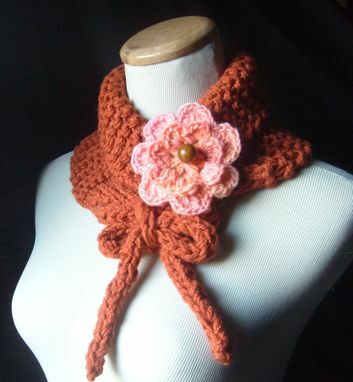 Just perfect for wearing in the office to fight off chilly air conditioning or as a stylish scarf with your spring jacket. 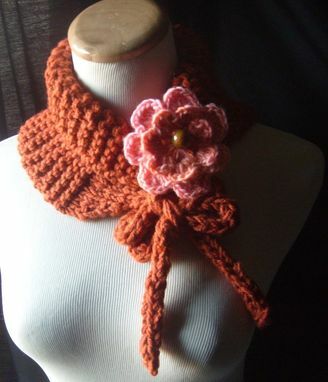 The Orangey can also be used as a fast cap or ear muff...just fasten the ties under your chin! 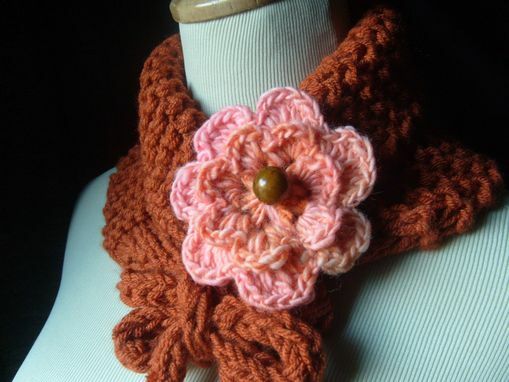 The pretty brooch has been hand crocheted with hand-dyed handspun 100% wool yarn. The agate-look bead has been attached to the flower to make it a versatile fashion accessory for wearing with the neckwarmer or wear the brooch on your favorite hat, coat or jacket! 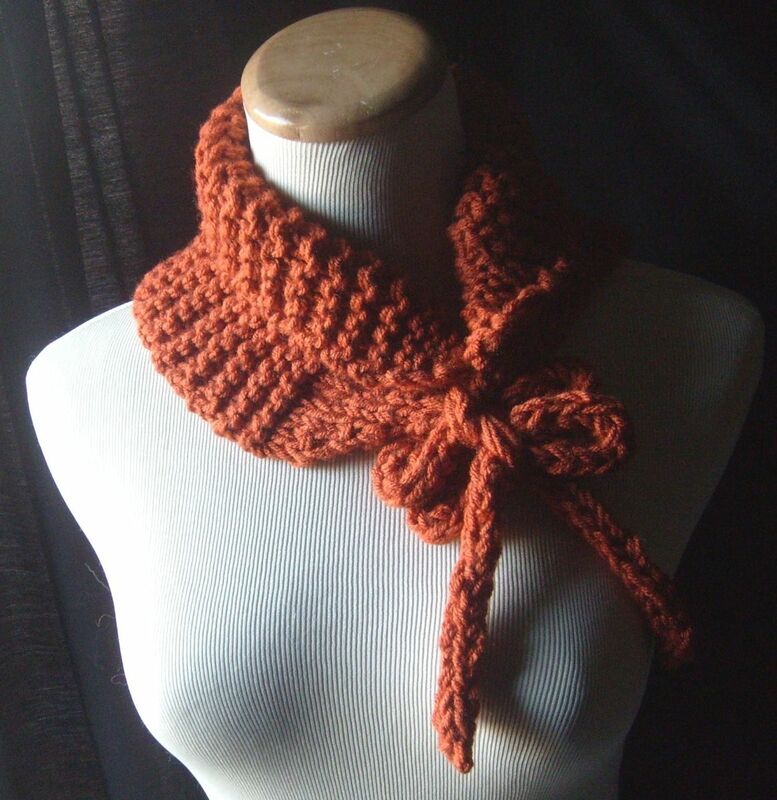 The Orangey makes a perfect accessory for the upcoming fall/winter season as well as a gift for someone special! Care - Machine wash separately or hand wash in warm water, air dry or tumble dry low.